Why would a meat eating cheese monger such as myself want to make something vegan? Several reason, not the least of which are my friends and family who can’t or wont eat dairy. As meat eaters, it is even more important for us to experiment with vegan and vegetarian food and not hang on the crutch of animal products with the exclusion of other foods. We need to have all types of recipes in our arsenals, not just to accommodate those who might be guest at our tables, but in order to discover foods that we didn’t know we loved, because we didn’t think food with “vegan” labels applied to us. In exploring vegan cooking I have discovered what an amazing texture vegetable shorting lends to frosting, how rich and beautiful coconut milk tastes, and how fruit purees can be a flavorful stand in for butter. Dairy free baking is something I want to lean towards more. Only using milk products when other substitutions would compromise the overall product, but in many cases vegan substitutions make the end result just as good or even better. Plant based foods just feel better in my body and if the taste of the food isn’t harmed then why would I make any other choice? I started exploring dairy free cooking when three friends where coming over for dinner. One was kosher (meat and dairy can not be served together) one was allergic to cow’s milk and the other was breast-feeding a baby who couldn’t have dairy. All three needed a dairy free meal. I realized how much dairy I use. Why? I love plants, produce, vegetables, fruit…why all the milk? These brownies where really good. Not just “good for vegan” but just really good. So fudgy and intensely chocolatey, even Tater couldn’t keep her little fingers off them. She took a bite and then carefully put it right back where I had place it. So cute, I love that kid. In a bowl, beat together the coconut oil and the agave nectar until well combined. Add the soy milk and coffee and beat again. in a separate bowl, add the cocoa powder, flour, shredded coconut and salt and stir to combine. Add the dry ingredients to the wet ingredients and stir until just combined, don’t over mix. Spray a 8×8 inch baking dish with cooking spray (or line with parchment paper) and pour bater into prepared pan. Bake at 350 for 16-18 minutes. You don’t want to overcook these or they will be too dry. Allow to cool before cutting into. For an extra treat, serve warm topped with coconut milk ice cream. *Note: Coffee intensifies the flavor of chocolate, with no trace of a coffee taste. If you don’t like coffee, or don’t have a coffee maker, stop by a Starbucks and order a black coffee, use 1/3 of a cup and freeze the rest in ice cube trays for use in future chocolate baking. Did you melt the coconut oil first, or leave in its solid form? It was room temperature, solid, but a bit soft. If you stir it a little, it should soften up. 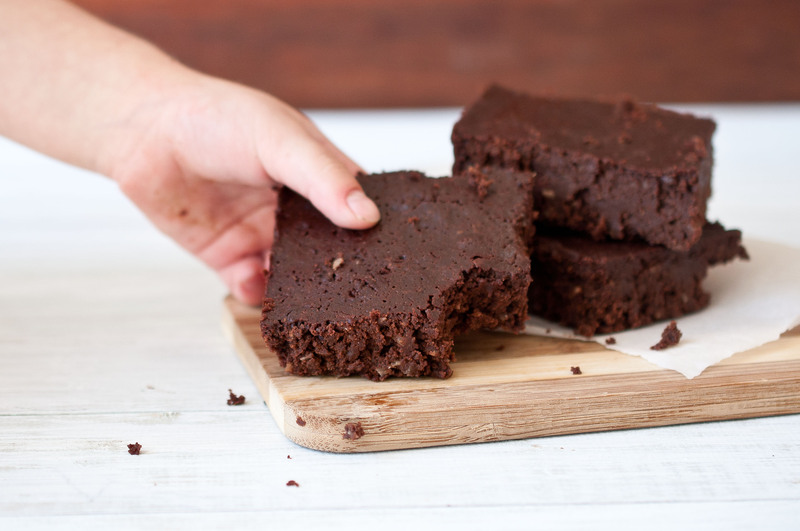 these look so rich + delicious + I love that they’re vegan – i have a lot of vegan or dairy-intolerant friends, so they’d love these (as would i)! Ooh, they look so dense! Yum. 🙂 I’m of the same opinion when it comes to vegan cooking/baking–if we’re not going to miss the dairy, I won’t use it. It’s about prioritizing how I use dairy & eggs, not cutting them out altogether. Wonderful recipe! It has so much flavor and the perfect texture! Yum! I wouldn’t see why anyone would have to make non-vegan brownies ever again! These go perfect with some chopped pecans or walnuts in them, as well as a nice cold glass of almond milk. Thank you so much for this recipe. Cheers! Sounds amazing, love coconut and chocolate! Have you tried making this with something other than wheat flour? 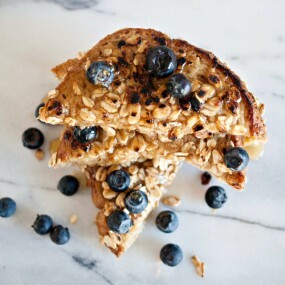 Cant I substitute the agave nectar with brown sugar? These are really, really good. Came out perfect, used the coconut milk instead and they are better than any non vegan brownie anywhere. Excellent recipe! I couldnt get it to mix well and used canola not coconut which is thicker. It still tastes good but I cant cut individual brownies so I scoop it out woth a spoon instead. It didnt look like your brownies – much too liquidy when mixed. I’m sorry! Canola oil is very different from coconut oil, so I’m sure that was the issue 🙁 A lot of people have been using coconut milk instead of coconut oil and it has been working out well. But canola oil wouldn’t work, it’s too runny. Sorry it didn’t work for you. Has anyone tried this recipe with any combination of gluten free flours? Hi! Glad you came by 🙂 I’m been cutting out dairy for health reason, I may be mildly lactose intolerant. But There are still dairy products that I love and “risk it” for. But I like to stay away from them when it’s easy. I just made these brownies and they look nothing like brownies. theres nothing in your recipe about baking soda or baking powder. did you forget to list this? No. 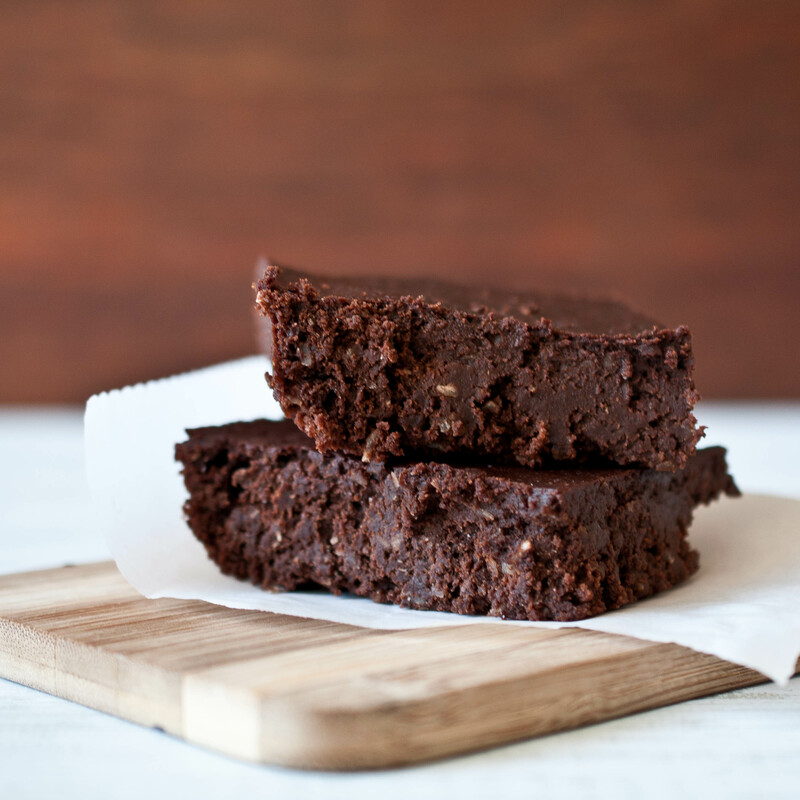 Brownies are not leavened, that turns them into cake. Only add an a learner if you want “cakey” brownies. All brownies recipes I have ever made do not include any type of baking soda or baking powder because it makes them like cake instead of the fudgey dense consistency brownies are meant to be. Wow, I wasn’t expecting these to come out as well as they did. I’ve only had bad experiences with vegan recipes til now, so it was a pleasant surprise. These were very chocolatey and definitely hit my family’s sweet craving without being too unhealthy. I really like the King Arthur Flour All Purpose Cocoa Powder, it has a really rich deep flavor, much better than that store bought stuff. Hey thanks!!!! 😀 I work on an organic farm and one of the woofers (traveling willing workers) is vegan so I thought I’d give these a shot! I used the coconut milk And it worked great! Aww man my fellow workers went nuts for them, I’ve never seen them so happy 😀 that was one amazing afternoon so thank you!!!! That’s awesome! and vanilla chai icing sounds incredible!! Your recipe really looks yummy! I want to try this recipe but wanted to ask you first if I can remplace the agave? Don’t really like the taste of agave…. Do you think maple syrup work the same way? Just revisiting this after finding the recipe last year. Marie, you can absolutely use maple syrup – that is what I usually do. I have also made it using rapadura sugar instead of the syrup – about 2/3 of a cup. I find I have to add a little more milk (I use almond) in that case but it still comes out tasty. I also find that it takes 25-30 minutes to bake. Made these tonight on a whim. Fantastic! Best brownie (vegan or otherwise) that I have ever made at home. I reduced the agave nectar to 1/2 cup to keep some of the bitterness of the chocolate and used coconut milk instead of soy milk. Thanks so much for the amazing recipe! 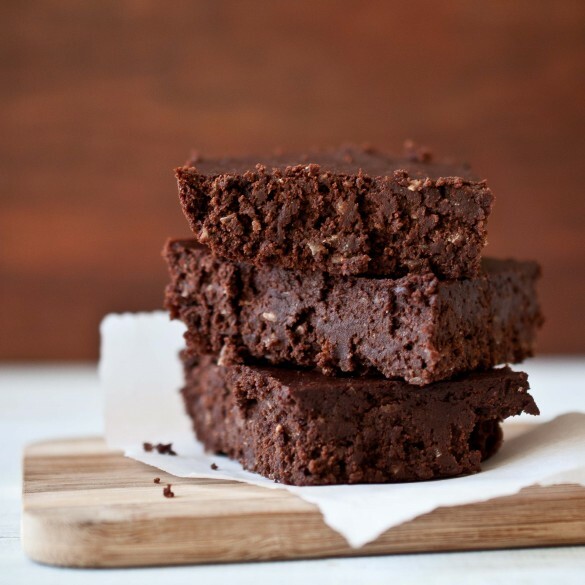 I made these brownies last night after seeing them posted on Nova 969… took very little time and they are sooo yummy. I did substitute the agave for honey and used almond milk instead of soy milk but they turned out wonderful!